Michael has worked in the building industry for over 30 years, running his own business for the last 20 or those years. He had an interest in writing as a teenager but had not taken that interest any further until his then 9 year old son Rex became a keen reader, and encouraged him to re-visit a poem he had written many years before. 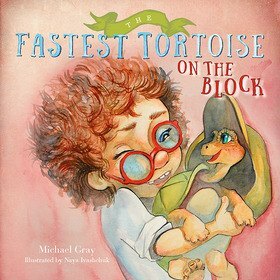 With some reworking, The Fastest Tortoise poem became a children’s story.